November 4, 2017 By Paula 12 Comments This post may contain affiliate links. Well, I thought it was time for another post. It’s been a while but it was necessary to just stop everything we were working on and focus on just one thing. Not focusing has always been our main problem with this business. It’s tough in the online arena to not get tempted to go in different directions. We always tell people they should focus on one thing first and wait till that is making money before moving on to something else and here we were totally ignoring our own advice. However, I feel like we now have things in place and we are determined to stay with it and just focus, focus, focus. 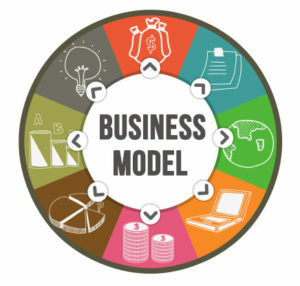 Our total business model has changed since we started in this business. We still use Amazon, but we do it in a different way and I have to say the new business model is much more fun. This worked extremely well for us, that is until Google hit and our sites tanked. Although we weren’t happy about it at the time, we got over it and we realised it was actually a godsend. We were working on websites that we had no interest in and the only thing that kept us motivated was that we were making lots of money. Plus, it wasn’t a self sustaining business model. No email list?…what were we thinking? Still it can be a little difficult getting people to sign up to a newsletter about printer ink, blenders or outdoor heating. Either way, it was time for a new business model and I spoke about this in my last post, which was back in August 2016. Now we didn’t just decide one day to run with this business model…it kind of just developed on it’s own. I know I have mentioned in previous posts that we are now focusing on our craft website. Well as of this month, our main focus moving forward, is going to be training programs for that site. We enjoy it and we get to help people and make money at the same time. Our audience is made up of a lovely group of people. The demographic, as you can imagine for a crafting and quilting niche, is female from around 45 years and up. Both Wanda and I are in that demographic ourselves so it works well for us. In terms of marketing, we just don’t have the expertise in that area and it shows. We could do so much better. So with this in mind, we started by purchasing the Wealthy Marketer training provided by Harv Eker. It’s a 6 week online program and we have just finished week 3. I will be writing up a review of this program so stay tuned for that. We have picked up a few things, but we are hoping there is going to be a bit more substance. However, I won’t say anymore until the training is complete and I get the review up. We are also looking into creating webinars. We want to be able to share some of our knowledge but in a more chatty relaxed way than with the normal tutorial based videos we create for our YouTube channel. We also want to be able to create webinars for when we are ready to release a new product. We are still in the very early stages of webinar creation. We haven’t even chosen a webinar provider but so far we are liking Webinarjam. Back when we were first thinking of creating webinars, the only decent one was GotoWebinar and they were quite expensive back in the day and I think they still are – a minimum of $100 a month for only 100 participants! That’s a bit much especially if you are just testing the waters to see if webinars are a right fit. Fortunately, there is a bit more competition now and the prices are a little more reasonable. I’ll be posting more on how we go with the Webinars as we progress and as I say that, I just realised that I have committed myself to writing up some blog posts for this site again. That wasn’t my intention when I came in to write up this particular blog post, but I have been thinking of this site a lot lately so maybe now is the time to get back to it. We’ll see how we go as I don’t want this to take up time that could be spent on the craft site….remember, focus, focus, focus. It’s always a treat to read your posts so I hope you do post more. I’ve missed you two! Hey Cathy, great to hear from you. I will definitely be doing more posts. I think having a break was a good thing but I feel now that I am ready to get back into it. Welcome to the blog, Peter. In answer to your question, for our own products we don’t promote them through affiliate programs. At this stage, traffic to our store is purely from people visiting our blog or those coming from YouTube. In terms of other people’s products, we really only promote Amazon products and we also have merchants in ShareaSale, CJ.com and other similar networks. We don’t at this stage promote any products from Clickbank or JVZoo. Always interested in what you two have to say. Hey Jennine. So good to see you here. Hope things are going well. Hi guys, my it’s been awhile, I had made the assumption that you had retired from working online. It’s just so competitive now a days and there are so many smart people online now a days. I istill have one site which I recently built , but my heart is not In it the way it was back in the early days. So good to hear from you Pete. It’s been a long time. I know what you mean about the ‘smart people online’. Lots of young ones coming in and making a good living. It’s good to see. Plenty of room for all of us though. I couldn’t even think about going back to a regular job. I’ve been too long away now. Paula and Wanda? Good grief! I thought you two had made your millions and lost interest! Nice to hear from you and I’m looking forward to a new take on things. Lots of us got hammered by Google and need a new start. I have opted for Pinterest because there’s no way I can do Youtubes. I don’t think we will ever lose interest. It’s a fun business to be in. Things changing all the time. Fortunately, we have smartened up a bit and realised that we shouldn’t be relying on one thing to make us money. Our old business model relied solely on ranking in Google. We didn’t have any safety features in play in case things didn’t work out. Kind of a risky play really. We haven’t done much with Pinterest ourselves. Our craft Pinterest page has around 2000 real followers but not sure what to do with them. I know they bring in a decent amount of traffic to our website but we haven’t really done much with it. We just post our latest tutorials and that’s about it. Would be interested to see what you are doing with Pinterest. It’s always refreshing to hear an honest voice in this space. I’ve never heard you guys try to push anything scammy or sound dishonest. Thanks for the lovely comment Joe. We’re in a business that is full of scams, spam and dishonesty. It never really gelled with me. We played around with doing some dodgy things like buying Youtube or Facebook likes for one of our channels but we realised pretty fast that (a) they don’t work and (b) it didn’t sit too well with us. And we don’t like fooling people – it just doesn’t feel good. We have done everything the right way with our latest channel and it is doing extremely well, plus we feel good knowing it’s been done right.